A great commitment to the great commission and the great commandment makes a great church. What are the essentials any church and believer needs to do do to make that happen? 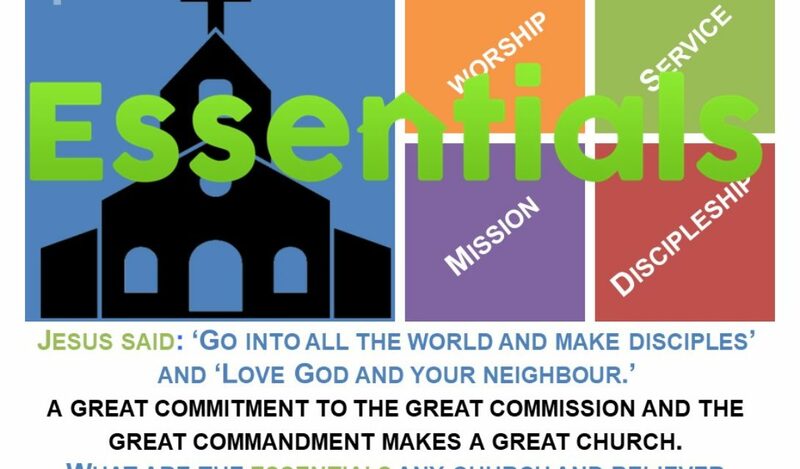 Christian Essentials – join us in the seventh talk of our ‘Essential’ series, this week we discuss mission. Christian Essentials – join us in the sixth talk of our ‘Essential’ series, this week we discuss mentoring & discipleship. Christian Essentials – join us in the fifth talk of our ‘Essential’ series, this week we discuss suffering, and the example of Job. Christian Essentials – join us in the fourth talk of our ‘Essential’ series, where we talk about discipleship. Christian Essentials – join us in the third talk of our ‘Essential’ series, where we talk about praying for one another. Christian Essentials – join us in the second talk of our ‘Essential’ series, where we talk about caring for one another. Essentials, What's In a Name? Christian Essentials – When it comes to having a servant heart, which road do we travel? Join us in our new series!